After eager anticipation, the Bureau of Labor Statistics released its Consumer Price Index last week. 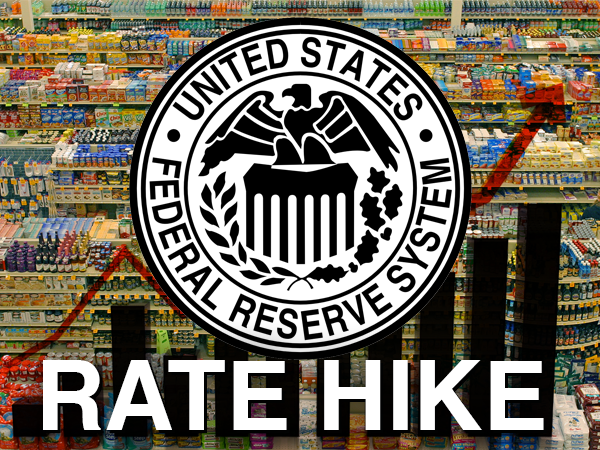 Adding fuel to the rate-hike trajectory, the CPI rose 2.1% year-over-year. Though not a massive jump, it was above expectations as the Wall Street Journal predicted growth of 2.0%. And experts believe it’s enough to make the Fed raise interest rates to tighten financial conditions before it gets out of control. It represents a core rise of 0.03%, and 0.05% for the month of January – the biggest monthly increase we’ve witnessed since August 2012. As the graph below from Wolf Street shows, it’s been steadily increasing over the last year. This growth is suspected to be fueled by retail sales which, excluding the sluggish growth seen in the bar-and-restaurant business, rose to 5.6%. 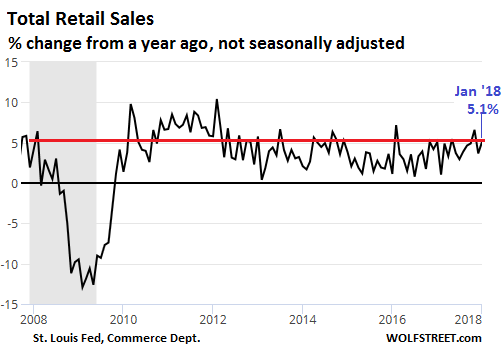 Though total retail sales plunged 21% from December to January, the year-over-year not seasonally adjusted growth in total retail sales reached 5.1% in January. As the following graph shows, this is its highest since 2012. In light of this, many economists are predicting the Fed will increase the number of hikes for this year from three to four. I think this does cement the four rate hikes, given the inflation backdrop. 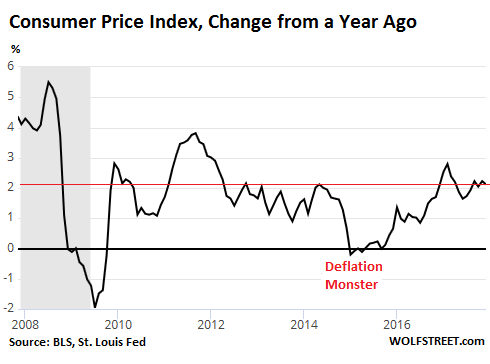 In a note to his clients, Michael Pearce, senior U.S. economist at Capital Economics, said he expects CPI inflation to be close to 2.5% by the spring, and to continue growing higher afterwards. We expect that will force the Fed to raise rates a total of four times this year, beginning with a 25 basis point rise in interest rates at the March FOMC meeting. A lot of Fed members will think this is a justification to continue, it is not going to put them on the sidelines. This data raise the already high likelihood that the Fed will be lifting rates again next month — unless turmoil in financial markets intensifies significantly. And it’s not just economic experts who believe a fourth hike is on the way. According to the CME Group’s FedWatch tool, investors believe there’s an 80.3% chance of a quarter percentage rate hike happening as soon as next month. Fears about accelerating inflation already sent ripples across the world’s stock markets this month. The markets were dealt a further blow after the CPI data was released. The Dow Jones Industrial Average opened 100 points lower. The news sparked a frenzy among traders who started selling off both 10-year and 30-year Treasuries within hours. As a result the 10-year yield jumped 9 basis points to 2.91%, and the 30-year yield 7 basis points to 3.17%. This looks set to cause a contrarian reaction which could put an end to the winning trade hedge funds and speculators have enjoyed. Four rate hikes this year could have major repercussions on the stock and real estate market. Mortgage payments will rise, severely affecting people’s abilities to afford homes. It may also affect consumers’ ability to meet their mortgage payments. Not to mention, higher rates will put even more pressure on consumers struggling to pay off their credit card debts. While four rate hikes may temporarily put a damper on gold, a stock market crash combined with a sinking dollar could send gold prices higher. If you haven’t built a gold position yet, doing so before the markets crash would be wise.